It does not modify the vaginal pH and does not interfere with the vaginal flora, so it does not destabilize the natural protection capacity. The material is medical grade silicone, inert, so it does not allow germs to accumulate in it. 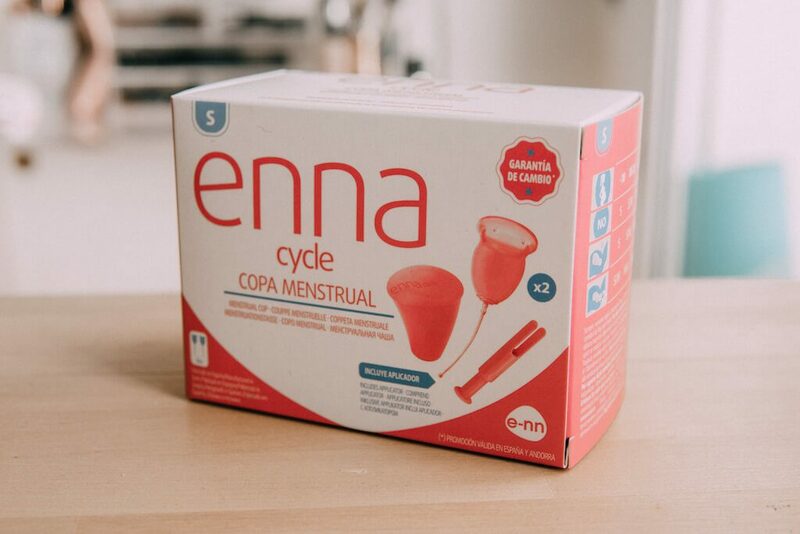 The enna cycle cup is made of a non-porous, non-absorbent, non-fibrous material that neither scratches nor dries the vaginal walls, nor leaves any remaining fibers. The enna cycle menstrual cup can be used up to 12 hours and can be used overnight. (*) 1. Menstrual cups and sanitary pads to reduce school attrition, and sexually transmitted and reproductive tract infections: a cluster randomized controlled feasibility study in rural Western Kenya. Phillips-Howard PA, Nyothach E, Ter Kuile FO, Omoto J, Wang D, Zeh C, Onyango C, Mason L, Alexander KT, Odhiambo FO, Eleveld A, Mohammed A, van Eijk AM, Edwards RT, Vulule J, Faragher B, Laserson KF. BMJ Open. 2016 Nov 23;6(11):e013229 Comparativa con compresas versus copa menstrual en un universo de 751 niñas de entre 14 y 16 años, donde se observan menos infecciones con el uso de la copa y menos incidencia de vaginosis. (**) 2. Preclinical, clinical, and over-the-counter postmarketing experience with a new vaginal cup: menstrual collection J Womens Health (Larchmt). 2011 Feb;20(2):303-11. doi: 10.1089/jwh.2009.1929. Epub 2011 Jan 1. North BB1, Oldham MJ Comparativa con tampones versus copa con una universo de 406 mujeres durante 3 ciclos menstruales donde se constató que no existe citotoxicidad y la preferencia por la copa se debió a mayor comodidad, no sequedad durante su uso y menos olor. (***) 3. FLOW (finding lasting options for women): multicentre randomized controlled trial comparing tampons with menstrual cups. Howard C, Rose CL, Trouton K, Stamm H, Marentette D, Kirkpatrick N, Karalic S, Fernandez R, Paget J. Can Fam Physician. 2011 Jun;57(6):e208-15 Comparativa con tampones versus copa en grupos de 47 mujeres donde se mostró mayor satisfacción con el uso de la copa y donde el 91% de las mujeres del grupo que probó la copa continuaron con ella después del estudio.